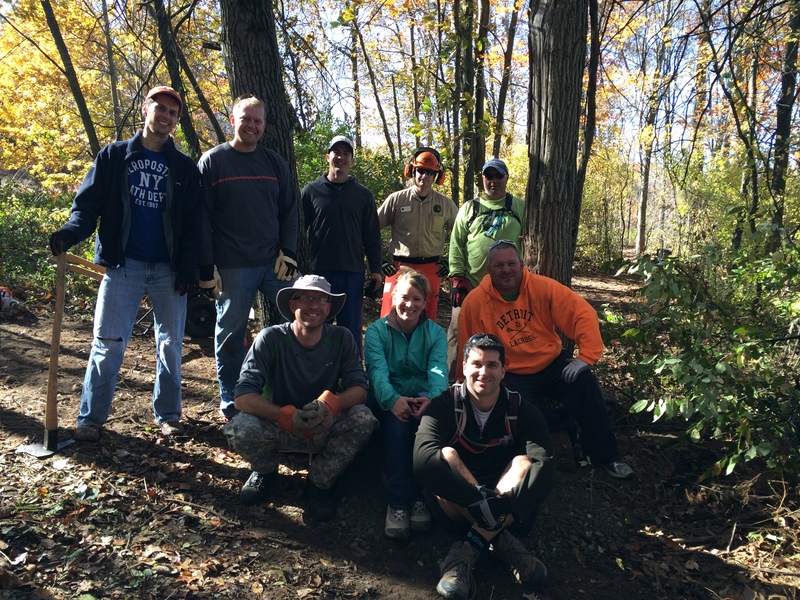 This past Sunday, October 25th, CRAMBA volunteers met up with Paul Majchrowski, the Lead Worker for Bald Mountain Recreation Area, for another successful trail day. For years the segment of trail located between along Predmore Roads and Carpenter Lake on the Orange Loop of the North Unit between markers 13 and 14 (map) has been muddy and frequently impassible. The section downslope from what’s commonly referred to as The Ranger’s House (a DNR-owned house) was one of the worst spots. By clearing deadfall and reusing and improving existing, casually-created trails we were able to move the trail 3-6 feet above the wet area, establishing a route that should remain dry year-round. This will benefit all trail users including mountain bikers, hikers, runners, skiers, and dog walkers. 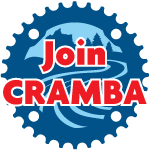 While a few other wet spots remain, by working in partnership with the DNR, CRAMBA volunteers like you have fixed numerous problem areas, helping to make the trails at Bald Mountain better than ever. Tony McGee, Todd Parkinson, Kristen Barry, Jeremy Kozak, Paul Culbertson, Dave Jackson, Scott Cervin, Konrad Kucharski, Steve Vigneau, Dan Blodgett, Deanna Velasco, Rodney Gullett, and Mark Senyk. Thank you everyone! See you on the trails!